Create and collect payments for recurring transactions and modify them as needed. Create any recurring invoices and bills you need for tenants or vendors. Create exceptions for recurring transactions at any time in the future. Create payment reminders for bills by adding a schedule to vendors. Make changes to recurring invoices for rent increases and so on at anytime and apply the changes to future invoices. Create multiple schedules for the same tenant or vendor for independent events that happen at different intervals.  Certain months can have extra charges at specific times of the year because each future invoice is a full invoice with line items. The scheduling system in Property Matrix enables you to customize recurring transactions to meet your needs for each property. Specify monthly, weekly, or daily transactions as well as an end date. Make future transactions current with a single click.